Today's review is going to be on the product from A'PIEU. 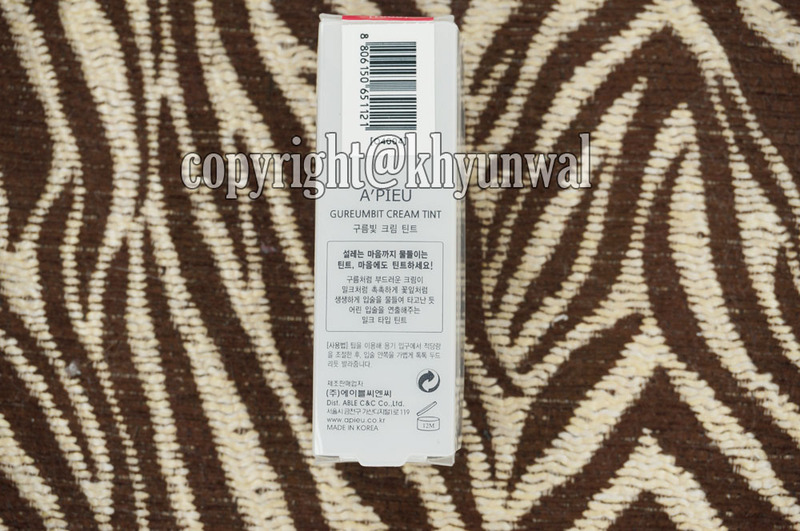 but I was aware of the name cause I have seen some Korean people use that company's product. So I was little bit curious to try this product out. 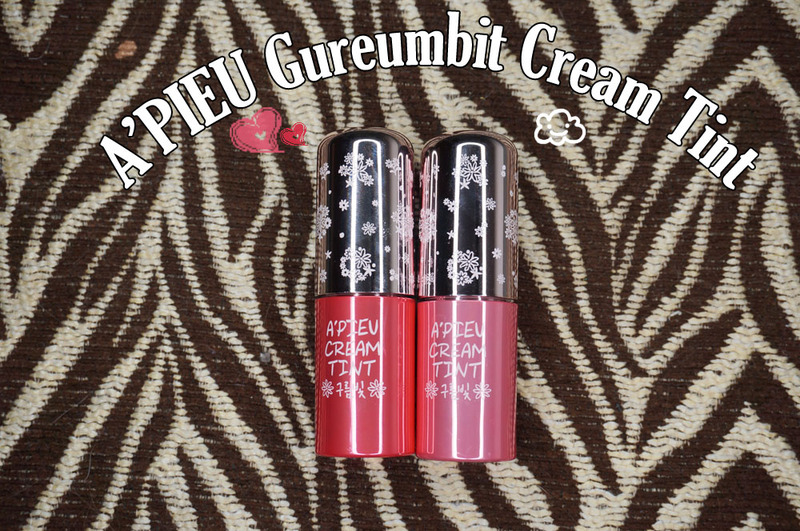 It it called "Gureumbit Cream Tint." Now some people may wonder what that means, but Gureum in Korean means "Cloud." So the products is basically going to be creamy like how clouds are! 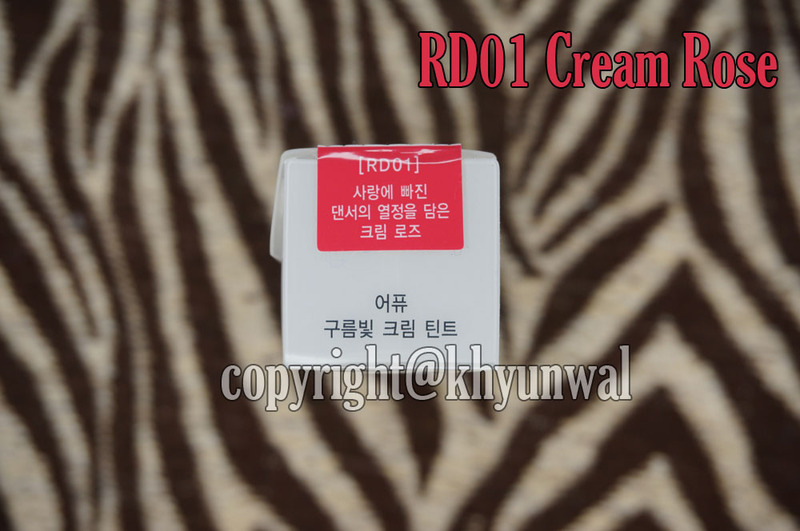 RD01 Cream Rose, which represents passion of a dancer who is in love. 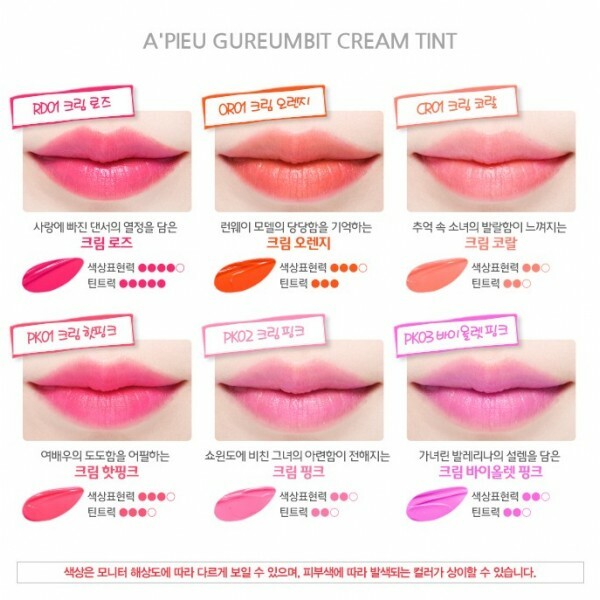 Out of these six colors, I have gotten Cream Rose ad Cream Hot Pink to try out. This product box is clear in the front that way you can see the color of the container as well. 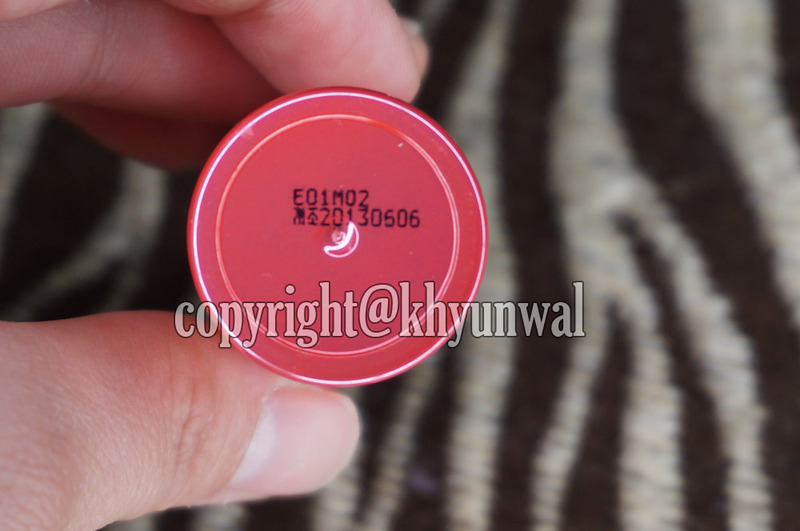 Also on the top there is sticker to ensure that the product is new and hasn't been open. So be sure to check the sticker before you open it! At the bottom of the product it has the date when the product is made. Mine is made on June 6th of 2013. 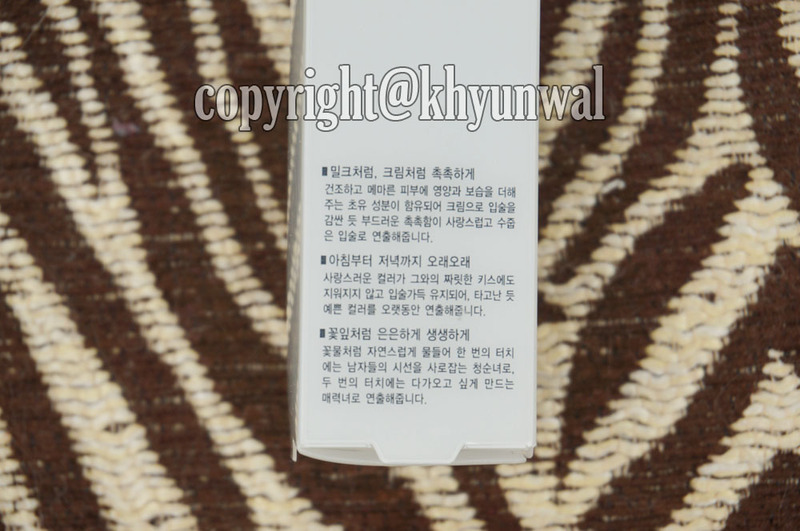 So once you open the product, you will be seeing rubber stopper, which will help you to adjust how much of the product you want on your applicator. to make it easier for you to apply on your lips. I personally like the design of to cap for this product. It made me think of Disney movie Frozen at first, because of the white flower, it almost looked like a snowflake. 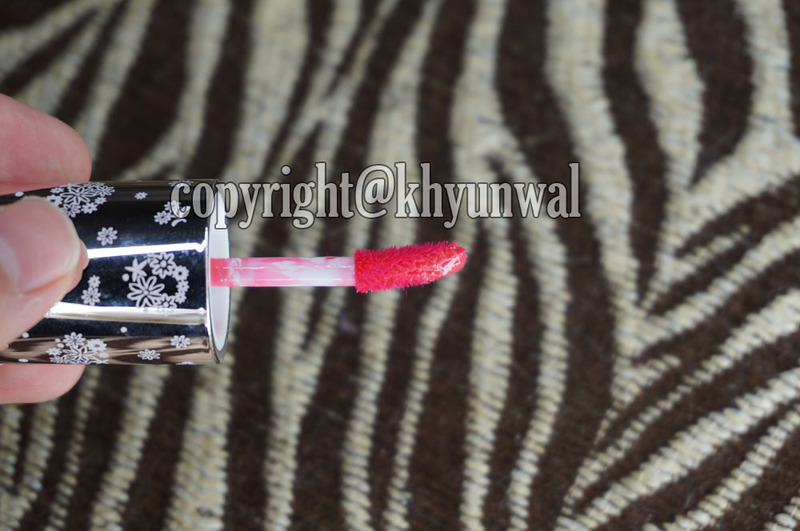 As you can see from above picture, there is that sticker to ensure the authenticity of the product. To be honest I was little bit disappointed about the casing of the product, because you can't see how much tint are left. I mean the color and the designing of the case is really cute, but I think they should have made it in a way where we can actually see the product itself. But I guess this kind of packging prevents from breaking so it gives more sturdiness. Cream Hot Pink has really nice baby color tone on the casing itself. But let's see the result after actually applying it on the skin! 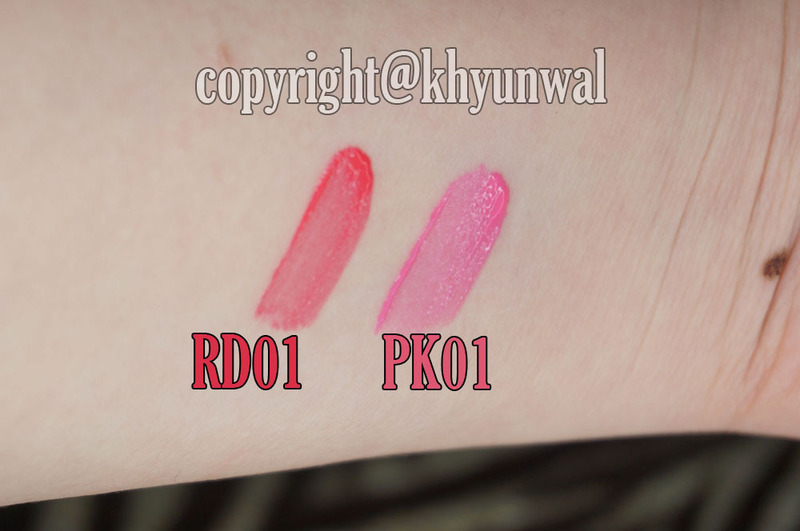 Since this is creamy type tint, it gives lot more moisture to your lips, and glides really well. 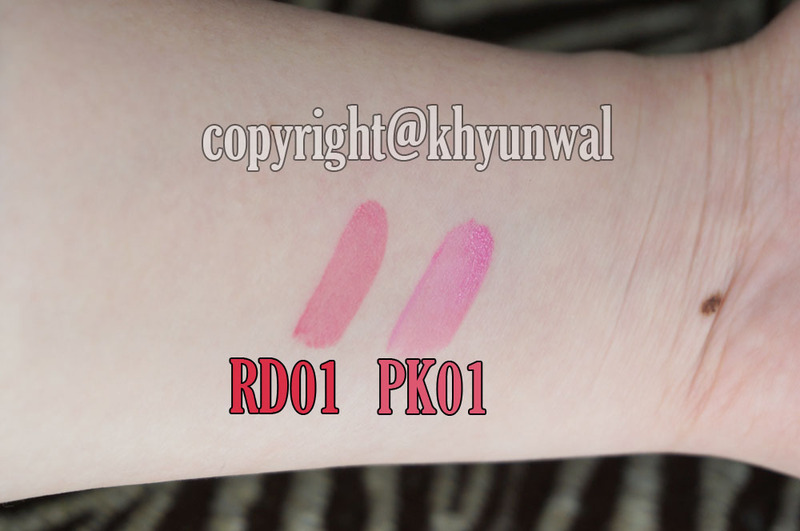 Unlike what the casing indicated, you can see that Cream Hot Pink has more hot pink color rather than pure creamy color. And the Cream Rose has nice red tint to it. Colors of this product is quite more vivid color than I expected. At first I was worried about this tint may not be vivid enough to use it by itself, but was I wrong. To show how tint stains your skin, I have wiped it off with a tissue. You can see the color stains pretty well on the skin, but if you desire for more color to it, I recommend you to apply it couple more times to get the color you desire. For any questions or concern, please leave a comment! I'm surprised how pigmented the colors are. I think they're very pretty and like you said, would be great for a gradient.